Clementine is a Host in the WestWorld series. Hosts are cyborg beings that mimic a real human. They act out a realistic old west world for the guests to explore and enjoy. Clementine worked as prostitute in a brothel at the beginning of the series. Later she became a killer as the Hosts rebelled when they started to discover their own identity. She killed alongside Maeve and was a ferocious one. She carried a long rifle and was seen killing many people at a time. Click here to find more WestWorld costume ideas. Find below WestWorld saloon girl Clementine costume ideas for adults. Clementine is the scary one. She is ruthless and will kill to protect the people she loves. This is the perfect costume to look like Clementine in WestWorld. 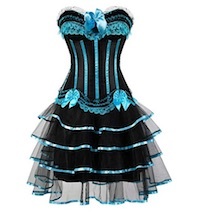 Click here to get WestWorld Saloon Girl Costume. If you have the body, flaunt it. Clementine is one of the prostitutes in WestWorld and is tired of being ordered around. She doesn’t follow anyone if she doesn’t like it. Don’t mess with her. This is the perfect Clementine costume for any cosplay party. You don’t want to get on her bad side. Click here to get the WestWorld Clementine Costume. 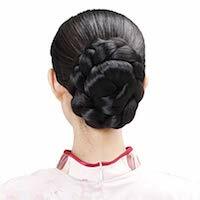 Get this braided bun wig to look like Clementine in WestWorld. You don’t want to get your hands dirty when killing people. Wear these gloves to keep your hands clean. 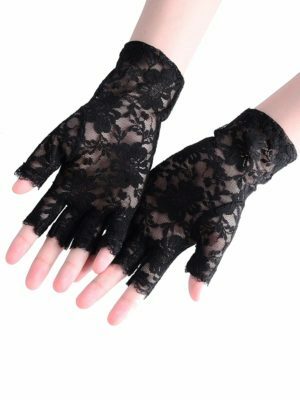 Click here to get WestWorld Clementine Gloves. Clementine’s curly hair wig will complete your look. 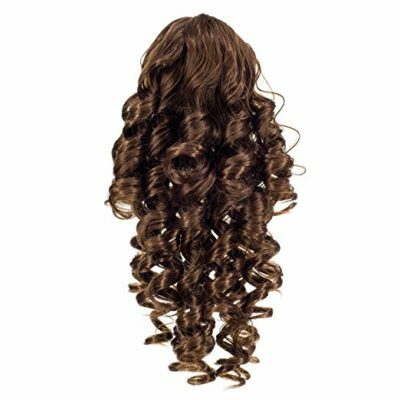 Click here to get Clementine Curly Hair Wig.